What are Bivalves? 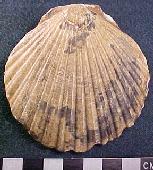 Bivalves are molluscs with a shell made of two interlocking pieces (valves) made of calcium carbonate. They can be found in many different freshwater and marine environments, such as lakes, tide pools, reefs, and hydrothermal vents. Some bivalves attach themselves to hard surfaces (oysters, mussels), a few species can swim (scallops), but most bury or anchor themselves into soft sediment. 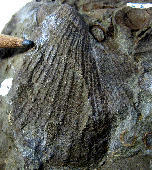 Partly because they have a hard shell, and partly because they are so numerous, the fossil record of bivalves is fairly good and extends back to the Cambrian.